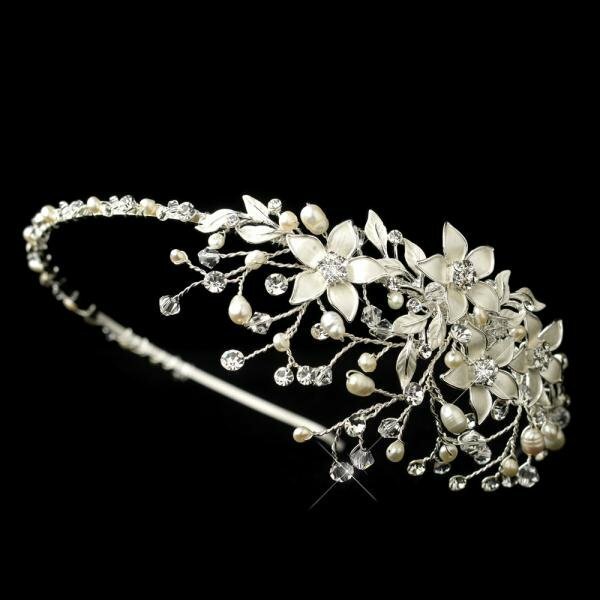 This elegant headband style headpiece features a beautiful composition of crystals, freshwater pearls, and rhinestone elements that are scattered amongst this band. 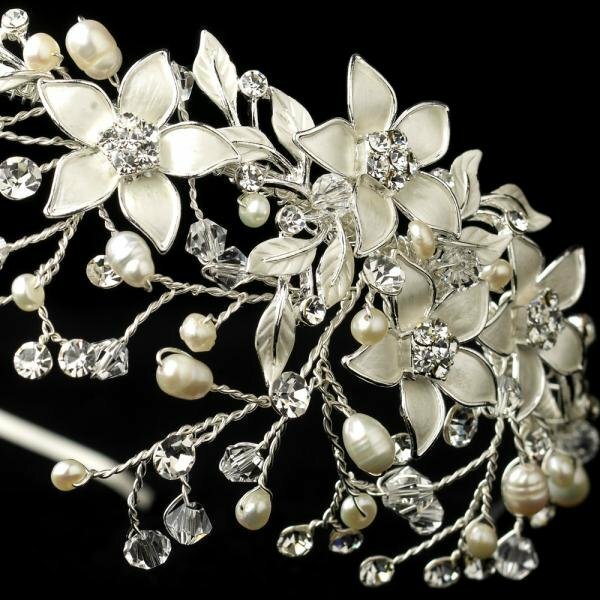 The faint tone of ivory pearls along with a stunning display of sparkle effortlessly illuminates this side accented flower. This headpiece is adjustable in order to provide a comfortable fit for all sizes.